Description (ebay): Rockchip RK3399 Quad-Core 2.0 GHz processor for fast performance with 16GB of storage and 4GB RAM for fast and efficient performance. 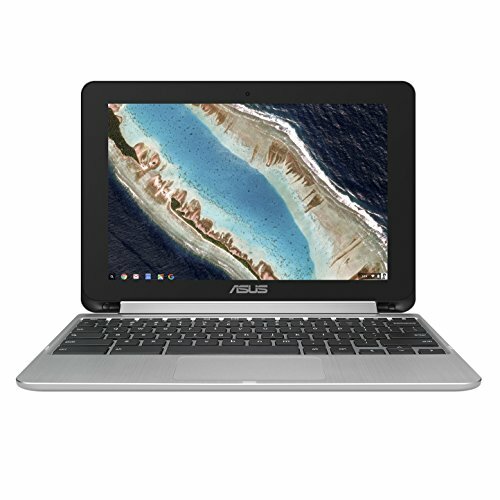 - Chromebook runs on Chrome OS-an operating system by Google that is built for the way we live today.It comes with builtin vrus protection,updates automatically*,boots up in seconds and continues to stay fast over time(*Internet connecton is required). - Rockchip RK3399 Quad-Core 2.0 GHz processor for fast performance with 16GB of storage and 4GB RAM for fast and efficient performance. - The flexible 360 degree hinge and 10.1 inch WXGA (1280 x 800) touchscreen lets you use the C101PA in tablet, stand, or laptop mode. - Lightweight at 2 pounds and .6 inches thick with the protection of a sleek aluminum metal body and the newest USB Type-C connectivity. - Work online or offline and starts up in seconds and lasts all day, thanks to a long battery life rated up to 9 hours.